Every month we’ll be posting a profile on a musician in our orchestra. This month it’s Al Lyman, percussionist and Venice Symphony Music Librarian. 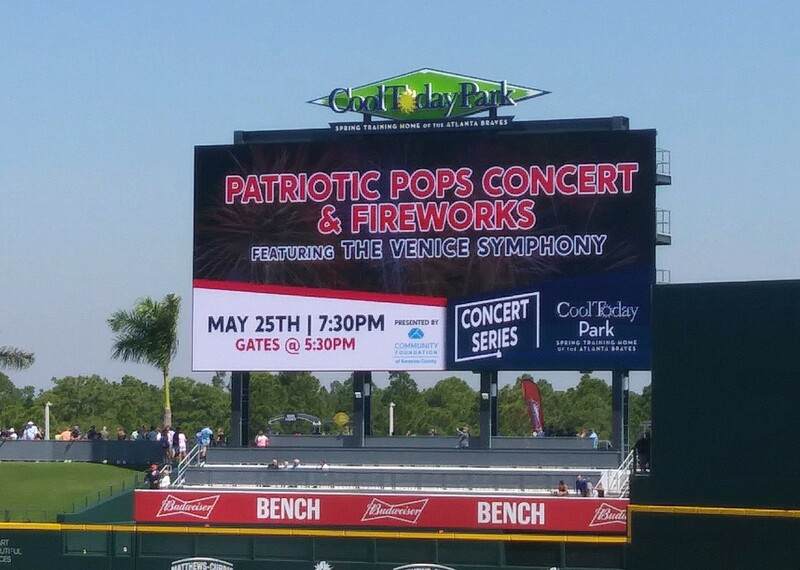 Al Lyman moved to Florida from Connecticut in late 2016 and it didn’t take long for The Venice Symphony’s Director of Music Personnel (and principal percussionist), Dana Kimble, to find him. He and Al had met a while back at a joint concert in Lincoln Center when Dana was playing with the West Point Band and Al was with the United States Coast Guard Band. The Symphony happened to be looking for a percussionist and Al’s played almost every concert since then. Less than two years later, Al has taken on the job as Music Librarian for the Symphony, making sure that all of the musicians have their music when they need it. That means renting or purchasing the music and getting it to the right musicians and then getting it back where it belongs. He also started working with the Symphony in the Schools program, performing demonstrations for third-grade students. “Coming to Florida, I’ve been able to shift some of my focus and attention back to music. I’m passionate about sharing what I’ve learned with kids, and inspiring them and getting them excited about music,” he said. Al started playing the drums in fourth grade in Connecticut and continued into high school, before heading off to The Boston Conservatory of Music to study percussion. Two years into college, he auditioned for the Coast Guard Band and was shocked to win the audition. “My teachers and mentors at the Conservatory told me: take the gig and go play!” He did just that, travelling all over the country and internationally, during a 28-year career. Soon after he joined the Coast Guard Band, Al discovered another passion, running. He ran his first Boston Marathon in 1983 and has completed more than two dozen since. The defining moment of Al’s athletic life happened in 1995 at the age of 36. Al was watching the Hawaii Ironman Triathlon on TV with his then 9- year old daughter, Erin. He was inspired and intrigued by the sport of triathlon, which combines swimming, biking, and but a near-drowning in his youth left him petrified of the water. Having not put a toe in the water for nearly 25 years, he told Erin that day when they were watching the ironman, that he would “do the ironman!” That proclamation began a journey of overcoming his fear of the water and learning how to swim. Two years later, he did his first Ironman; two years later he qualified for and finished the ironman world championship in Hawaii, crossing the finish line of that iconic race with his kids at his side.